On Monday I presented an expanded version of my white paper “Simple But Not Easy: The Case For Quantitative Value” to the UC Davis MBA value investing class. A special thank you to the instructors Jacob Taylor, and Lonnie Rush, and UCD value investing class. Go Aggies! To cede complete decision-making power to lock up a human to a statistical algorithm is in many ways unthinkable. The problem is that discretionary escape hatches have costs too. In 1961, the Mercury astronauts insisted on a literal escape hatch. They balked at the idea of being bolted inside a capsule that could only be opened from the outside. They demanded discretion. However, it was discretion that gave Liberty Bell 7 astronaut Gus Grissom the opportunity to panic upon splashdown. In Tom Wolfe’s memorable account, The Right Stuff, Grissom “screwed the pooch” when he prematurely blew the 70 explosive bolts securing the hatch before the Navy SEALs were able to secure floats. The space capsule sank and Grissom nearly drowned. What does all this mean for human endeavour? If we care about getting the best decisions overall, there are many contexts where we need to relegate experts to supporting roles in the decision-making process. We, like the Mercury astronauts, probably can’t tolerate a system that forgoes any possibility of human override, but at a minimum, we should keep track of how experts fare when they wave off the suggestions of the formulas. And we should try to limit our own discretion to places where we do better than machines. This is in many ways a depressing story for the role of flesh-and-blood people in making decisions. It looks like a world where human discretion is sharply constrained, where humans and their decisions are controlled by the output of machines. What, if anything, in the process of prediction can we humans do better than the machines? The answer is that we formulate the factors to be tested. We hypothesise. We dream. The most important thing left to humans is to use our minds and our intuition to guess at what variables should and should not be included in statistical analysis. A statistical regression can tell us the weights to place upon various factors (and simultaneously tell us how, precisely, it was able to estimate these weights). Humans, however, are crucially needed to generate the hypotheses about what causes what. The regressions can test whether there is a causal effect and estimate the size of the causal impact, but somebody (some body, some human) needs to specify the test itself. So the machines still need us. Humans are crucial not only in deciding what to test, but also in collecting and, at times, creating the data. Radiologists provide important assessments of tissue anomalies that are then plugged into the statistical formulas. The same goes for parole officials who judge subjectively the rehabilitative success of particular inmates. In the new world of database decision-making, these assessments are merely inputs for a formula, and it is statistics – and not experts – that determine how much weight is placed on the assessments. A proprietary investment model is used to rank a universe of stocks based on a variety of factors we believe to be predictive of future stock returns. The process is continuously refined and enhanced by our investment team although the basic philosophy has never changed – a combination of value and momentum factors. The blasphemy about momentum aside, the refinement and enhancement process sounds like fun to me. Princeton economist Orley Ashenfleter predicts Bordeaux wine quality (and hence eventual price) using a model he developed that takes into account winter and harvest rainfall and growing season temperature. Massively influential wine critic Robert Parker has called Ashenfleter an “absolute total sham” and his approach “so absurd as to be laughable.” But as Ian Ayres recounts in his great book Supercrunchers, Ashenfelter was right and Parker wrong about the ‘86 vintage, and the way-out-on-a-limb predictions Ashenfelter made about the sublime quality of the ‘89 and ‘90 wines turned out to be spot on. Ayers provides a number of stories not covered in Montier’s article, from Don Berwick’s “100,000 lives” campaign, Epagogix’s hit movie predictor, Offermatica’s automated web ad serving software, Continental Airlines’s complaint process, and a statistical algorithm for predicting the outcome of Supreme Court decisions. While seemingly unrelated, all are prediction engines based on a quantitative analysis of subjective or qualitative factors. The Supreme Court decision prediction algorithm is particularly interesting to me, not because I am an ex-lawyer, but because the language of law is language, not often plain, and seemingly irreducible to quantitative analysis. 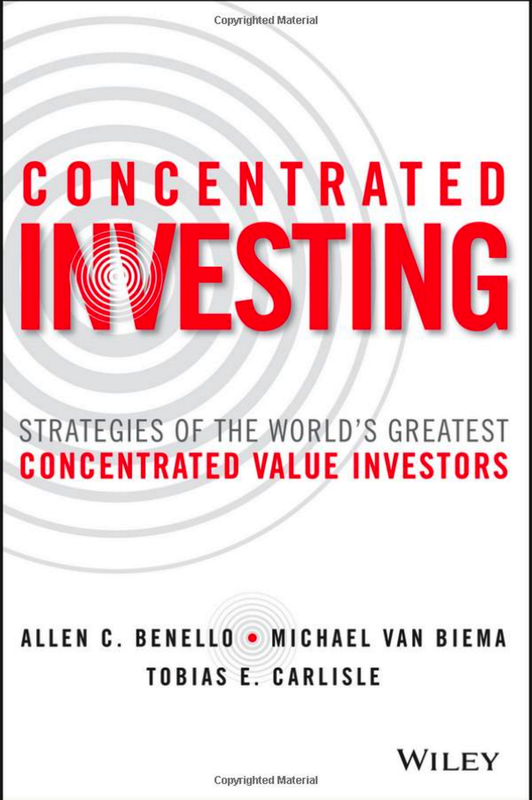 (I believe this is true also of value investment, although numbers play a larger role in that realm, and therefore it lends itself more readily to quantitative analysis.) According to Andrew Martin and Kevin Quinn, the authors of Competing Approaches to Predicting Supreme Court Decision Making, if they are provided with just a few variables concerning the politics of a case, they can predict how the US Supreme Court justices will vote. Analysing historical data from 628 cases previously decided by the nine Supreme Court justices at the time, and taking into account six factors, including the circuit court of origin and the ideological direction of that lower court’s ruling, Martin and Quinn developed simple flowcharts that best predicted the votes of the individual justices. For example, they predicted that if a lower court decision was considered “liberal”, Justice Sandra Day O’Connor would vote to reverse it. If the decision was deemed “conservative”, on the other hand, and came from the 2nd, 3rd or Washington DC circuit courts or the Federal circuit, she would vote to affirm. As the men talked, they decided to run a horse race, to create “a friendly interdisciplinary competition” to compare the accuracy of two different ways to predict the outcome of Supreme Court cases. In one corner stood the predictions of the political scientists and their flow charts, and in the other, the opinions of 83 legal experts – esteemed law professors, practitioners and pundits who would be called upon to predict the justices’ votes for cases in their areas of expertise. The assignment was to predict in advance the votes of the individual justices for every case that was argued in the Supreme Court’s 2002 term. The experts lost. For every argued case during the 2002 term, the model predicted 75 per cent of the court’s affirm/reverse results correctly, while the legal experts collectively got only 59.1 per cent right. The computer was particularly effective at predicting the crucial swing votes of Justices O’Connor and Anthony Kennedy. The model predicted O’Connor’s vote correctly 70 per cent of the time while the experts’ success rate was only 61 per cent. How can it be that an incredibly stripped-down statistical model outpredicted legal experts with access to detailed information about the cases? Is this result just some statistical anomaly? Does it have to do with idiosyncrasies or the arrogance of the legal profession? The short answer is that Ruger’s test is representative of a much wider phenomenon. Since the 1950s, social scientists have been comparing the predictive accuracies of number crunchers and traditional experts – and finding that statistical models consistently outpredict experts. But now that revelation has become a revolution in which companies, investors and policymakers use analysis of huge datasets to discover empirical correlations between seemingly unrelated things. The test would implicate some of the most basic questions of what law is. In 1881, Justice Oliver Wendell Holmes created the idea of legal positivism by announcing: “The life of the law has not been logic; it has been experience.” For him, the law was nothing more than “a prediction of what judges in fact will do”. He rejected the view of Harvard’s dean at the time, Christopher Columbus Langdell, who said that “law is a science, and … all the available materials of that science are contained in printed books”. Martin and Quinn’s model shows Justice Oliver Wendell Holmes to be right. Law is nothing more than a prediction of what judges will in fact do. How is this relevant to a deep value investing site? 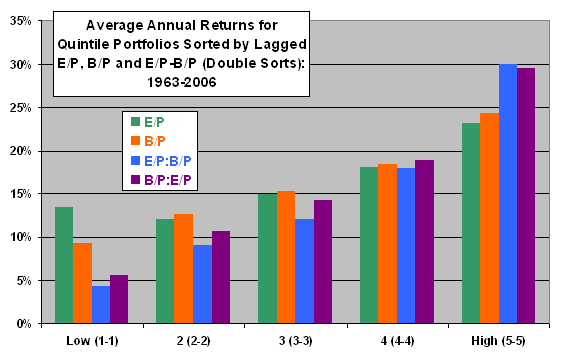 Deep value investing is nothing more than a prediction of what companies and stocks will in fact do. If the relationship holds, seemingly unrelated things will affect the performance of stock prices. Part of the raison d’etre of this site is to determine what those things are. 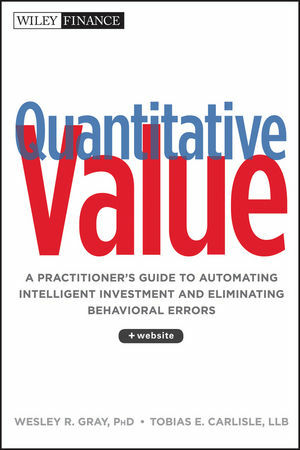 To quantify the qualitative factors affecting deep value stock price performance.